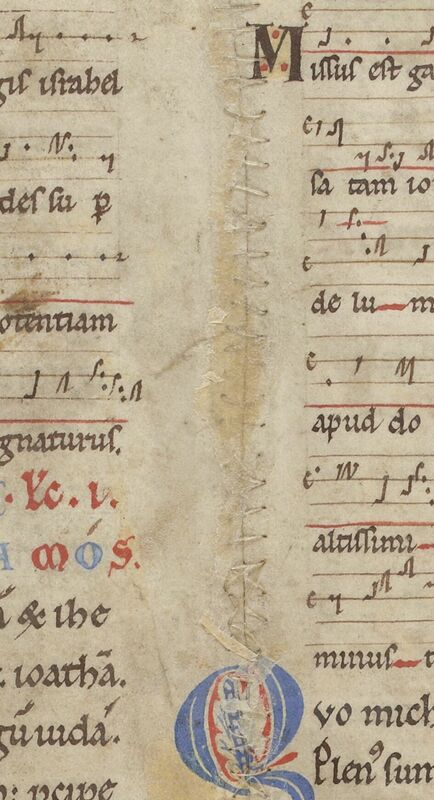 It looks like someone borrowed half a page long enough to sing a song or two, then stitched it back in. Breviarium ad usum monasterii Arremarensis. Bibliothèque nationale de France, Département des manuscrits, Latin 796, fol. 11v.